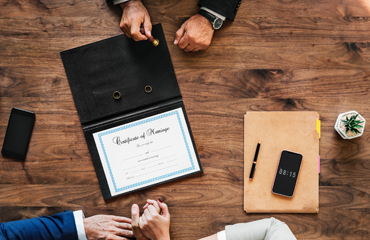 Marriage certificate is a proof that union of two people is solemnized by recognized authority of a country or locality where marriage took place. 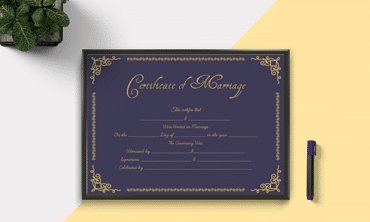 Marriage certificate templates on the other hand are for all those couples that are getting married soon or already married couples who want an unique way to remember and cherish that special day of their lives. They can also be used as a great gift for your friends and/or family members that are getting married or simply have anniversary coming up soon. 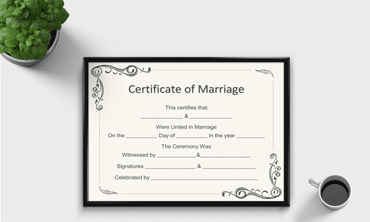 You can choose between large variety of both premium and free marriage certificate templates to create your own customized one that will be perfect for you and your loved one. These templates are blank and you can use them to input all relevant information and edit if needed. Apart from that, they are also printable and you can export them in both Microsoft Word and PDF formats.